Chevy trucks can truly take you wherever you want to go… and we’re not talking about the pickups’ off-roading abilities or fuel economy. 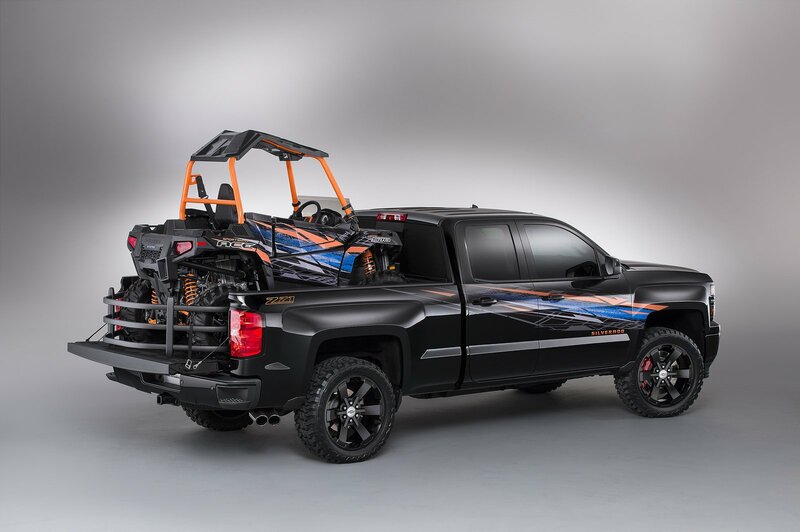 Rather, we’re talking about a pair of special edition packages that accompany the Chevy Colorado and the Chevy Silverado. Both of these trucks are already perfectly capable on their own, but these add-ons will take the pickups to a completely new level. Have you been shopping around, looking for exceptional trucks for sale? Well, whether you live near the coast or in the middle of the desert, Chevy has a truck that will certainly fit your needs. You may not often associate a pickup truck with the beach, but the 2016 Colorado has done its best to challenge that. 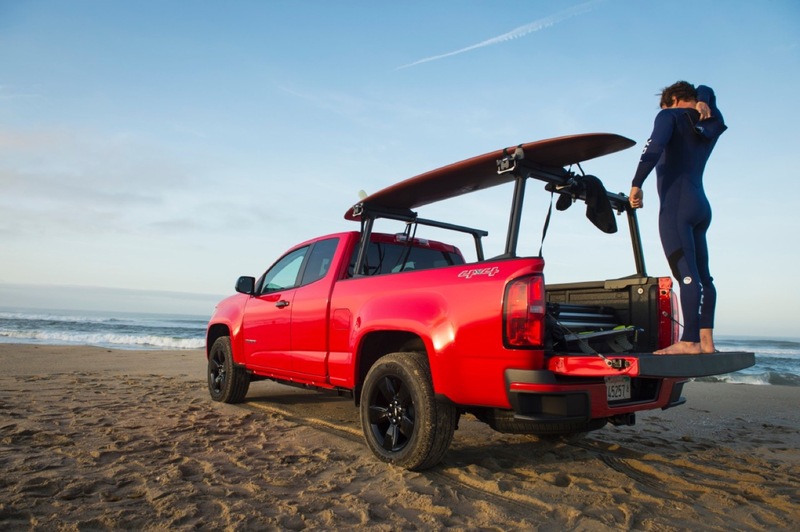 Chevy is currently offering the ‘Colorado Shoreline,’ a special edition of their beloved pickup. The truck offers a number of amenities, highlighted by the black-out features found throughout the exterior and the giant black 18-inch wheels. Customers can also opt for a number of optional features, including GEARON Tiered Storage Racks and a Thule Stand Up Paddle Board Carrier. If you’re seeking a perfect traveling vehicle as you’re looking for trucks for sale, it may be in your best interest to pursue this particular Colorado. Even without all of these amenities, the 2016 Colorado is already one of the most impressive trucks on the road. Motor Trend’s “Truck of the Year” for both 2015 and 2016 comes in a number of different colors, and customers can opt for several different powertrain options. In other words, buyers can customize their pickup to cater to their needs. The trio of engine options all offer some best-in-class specs. The 2.8-liter diesel engine is one of the most impressive units in the segment, as the system can pump out 181 horsepower and a best-in-class 369 pounds-feet of torque. These impressive numbers result in a 7,700-pound towing capacity. Best of all, drivers can expect a fuel economy around 22 city/31 highway miles per gallon. Meanwhile, the 3.6-liter V6 engine offers a best-in-class 305 horsepower to go along with an equally impressive 269 pounds-feet of torque. The 7,000-pound towing capacity means drivers can expect to haul any cargo they see necessary, while the 18 city/26 highway mile per gallon fuel efficiency means they won’t have to make constant stops at the gas station. Finally, the 2.5-liter I-4 engine shouldn’t be discounted because of its size. The engine produces a best-in-class 200 horsepower and a best-in-class 191 pounds-feet of torque, resulting in an impressive 3,500-pound towing capacity. Drivers can also expect a best-in-class 20 city/27 highway mile per gallon fuel efficiency. Drivers can also take their pickup to the desert-like west, as the Silverado ‘High Desert’ is capable of overcoming any difficult terrain. The new special edition pickup, which is available on the LT, LTZ, and High Country trims, will offer drivers refined styling, a new cargo system, and the available Magnetic Ride Control suspension (available on the High Country trim). Those seeking trucks for sale will have to wait a bit longer for the release of this package, but it will totally be worth it. The real star of this package is the new-and-improved storage system. The lockable unit, which is located in the pickup’s truck bed, will help protect your valuable cargo from thieves and the weather. A cargo divider can help keep all of your tools organized and separated, and drivers can easily lock the system via the accompanying keyfob. Best of all, the unit won’t ruin your truck, as the bed’s high-strength steel is ready to overcome any dents or bruises. No other trucks for sale offer these kinds of protection. Meanwhile, the Silverado High Desert will be the first in the nameplate’s history to offer the innovative Magnetic Ride Control suspension. A number of sensors (which will activate multiple times in one second) will determine the truck’s placing on the road, helping to improve the vehicle’s overall control. The brand-new electronically controlled shock absorbers will provide damping resistance, while the revamped magnetic charge will influence the damping rate of the shocks. If you opt for the LTZ or High Country version of the Silverado, expect to see the impressive EcoTec3 6.2-liter V8 engine under the hood. Coupled with the brand-new Hydra-Matic 8L90 eight-speed automatic transmission, the system is capable of pumping out 420 horsepower and 460 pounds-feet of torque. These numbers easily establish the Silverado among the most powerful pickups on the market. To further influence the driving experience, buyers can also opt for a number of wheel and tire options based on the trim level. The LT trim provides drivers with 20-inch wheels and all-season tires, while the LTZ and High Country trim levels include 22-inch wheels and all-terrain tires. So what are you waiting for? Go get a look at both the Colorado Shoreline and the Silverado High Desert right away!